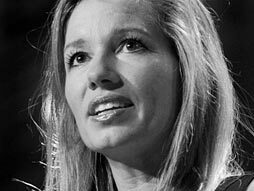 Stacey Kramer is a co-founder of Brandplay, a brand strategy firm, and Word for Word, a naming and branding consultancy serving national and global companies. She has traveled the world helping to create names and brands for growing companies. nirvana - a place or state characterized by freedom from or oblivion to pain, worry, and the external world. In Buddhism, it is the highest state of consciousness, in which the soul is freed from all desires and attachments. Colloquially, the word is used to express the highest level of peaceful happiness. Amazon - Online retailer of books, movies, music and games along with electronics, toys, apparel, sports, tools, groceries and general home and garden items. 3. How much is the ‘gift’? 4. What does Stacey think about the price of the ‘gift’? 5. When did Stacey receive the ‘gift’? 7. Does Stacey treasure the experience of having a brain tumor? 8. How has the brain tumor affected Stacey? It altered her life miserably. Imagine, if you will -- a gift. I'd like for you to picture it in your mind. It's not too big -- about the size of a golf ball. So envision what it looks like all wrapped up. But before I show you what's inside, I will tell you, it's going to do incredible things for you. It will bring all of your family together. You will feel loved and appreciated like never before and reconnect with friends and acquaintances you haven't heard from in years. Adoration and admiration will overwhelm you. It will recalibrate what's most important in your life. It will redefine your sense of spirituality and faith. You'll have a new understanding and trust in your body. You'll have unsurpassed vitality and energy. You'll expand your vocabulary, meet new people, and you'll have a healthier lifestyle. And get this -- you'll have an eight-week vacation of doing absolutely nothing. You'll eat countless gourmet meals. Flowers will arrive by the truckload. People will say to you, "You look great. Have you had any work done?" And you'll have a lifetime supply of good drugs. By now I know you're dying to know what it is and where you can get one. Does Amazon carry it? Does it have the Apple logo on it? Is there a waiting list? Not likely. This gift came to me about five months ago. It looked more like this when it was all wrapped up -- not quite so pretty. And this, and then this. It was a rare gem -- a brain tumor, hemangioblastoma --the gift that keeps on giving.